[FAQ] USB Type-C vs. USB 3.1 vs. Thunderbolt: What's the Difference? This is a Q&A center for USB 3.1 Type-C specs with comparisons among USB Type-C, USB 3.1, Lightning and Thunderbolt. Maybe you were conscious of a due upgrade of USB, for being increasingly annoyed at failed paring of old USB devices and computers, but never an upgrade as strong as USB 3.1 Type-C, which was actually born in 2013 but has been catching the eyes of everyone ever since the CES 2015 and lately the release of new MacBook. Considering your craving to know about this new-to-market USB 3.1 Type-C, here we list some frequently asked problems, including USB 3.1 Type-C specs, USB Type-C vs. USB 3.1, USB Type-C vs. Thunderbolt, USB Type-C vs. Lightning, USB 3.1 Type-C compatible devices, how to rip DVD to USB Type-C and so on. Q: USB Type-C vs. USB 3.1 vs. Thunderbolt vs. Lightning: What's the difference? "Is it possible to completely replace all USB 2.0 and 3.0 hubs with 3.1? Would there be legacy issues? How long will it be until there are only USB c-type and 3.1 on some popular motherboards (ASUS, EVAGA, MSI) and cases (Antec, Corsair, NZXT)?" A: 1. USB 3.1 vs. USB 3.0: USB (Universal Serial Bus) 3.1, replacing USB 3.0, becomes the newest USB standard, coming with faster transfer mode – 10Gbps, more effective encoding system, backward compatible with USB 3.0 and USB 2.0 and including three kinds of connectors: Type-A (Standard-A), Type-B (Micro-B) and Type-C.
2. 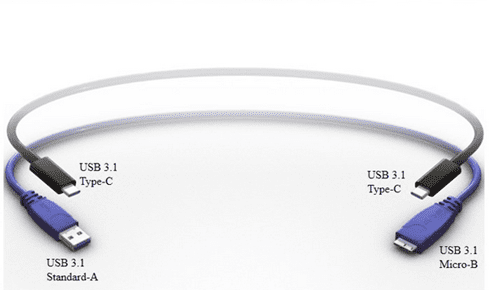 USB Type-C vs. USB 3.1: As stated above, USB Type-C belongs to USB 3.1, but defines a new small reversible-plug connector for USB 3.1 devices, used at both host (type-A) and device side (type-B). 3. USB Type-C vs. Thunderbolt: USB 3.1 Type-C, although stylized as Superspeed+ USB 10 Gbit/s, is comparable to the 1st generation Thunderbolt, which is only compatible with limited devices, such as MacBook Pro, MacBook Air, and MacBook Pro with Retina Display. 4. USB Type-C vs. Lightning: USB 3.1 Type-C is similar in size to Lightning connector, which is created by Apple Inc. to connect iPhone, iPad, iPod to computer, external monitor, camera, etc. Q: Where to find detailed USB 3.1 Type-C Specifications and USB-C compatible devices? A: For elaborate USB 3.1 Type-C specs, please refer to the below table. Q: USB Type-C vs. USB 3.1/3.0: What are the new features? A: * Compared with USB 3.1 Type A/B or USB 3.0, USB 3.1 Type-C is a new, tiny and universal connector, making the future smaller phones possible. * The difference between USB Type-C and USB 3.0 also lies in the power delivery. USB 3.1 Type-C is capable of delivering power up to 100w/20v, meaning high-end mobiles, tablets, laptops and monitors devices can be charged from USB up to four times faster than before. Despite all these amazingly new features, there are downsides. In the lead up to the popularity of this new USB 3.1 Type-C, Apple and Google take actions first. However, till now, there are no more devices that can fit it. 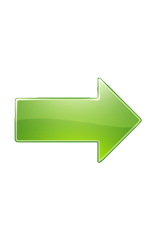 If you still want to fast rip DVD to USB, or any other portable devices, e.g. Seagate wireless portable hard drive, iPhone, iPad, Samsung, HTC, PSP, etc, WinX DVD Ripper Platinum would be, so far, the best option, especially for Disney/Paramount/WB copy-protected DVDs. Besides, to make USB Type-C compatible with previous USB 3.0/2.0, you may need a USB 3.1 adapter, cable, etc. Q: USB Type-C vs. Lightning vs. Thunderbolt: Thunderbolt is said to be far quicker than USB 3.1 Type-C on data transfer. Is that true? A: It is true that compared with Thunderbolt, USB Type-C is not faster enough, the 2nd generation of which delivers up to 20Gbps data rate. 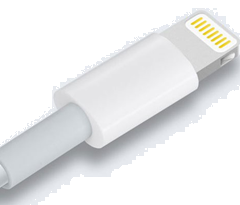 And speaking of high-speed connector, most people would turn to Apple Lightning. So USB Type-C vs. Lightning vs. Thunderbolt, what's the strength? First, Lightning and Thunderbolt compatible devices are relatively limited for minority. Second, USB Type-C has upgraded to 10Gbps, leading easy access to 500MB transfer rate actually, which should be enough for high-end mobiles, tablets, laptops, PC, etc. * Rip/backup DVD to USB 3.1 Type-C/3.0/2.0, Seagate wireless hard drive, portable devices and smart TVs, such as iPhone, iPad. * Rip and convert DVD to USB 3.1 Type-C in AVI, MP4, MOV, AVC, MPEG, WMV, MTS, M2TS, TS, etc frormat. * Rip and backup DVD movies to USB 3.1 Type-C for playback on new MacBook with No.1 fast ripping speed. Rip DVD to USB OTG Compatible Phones/Tablets, Storage Devices, etc.